In CUMAC’s warehouse, it’s a well known rule of thumb that if you leave your belongings unattended amidst all of the donations, they will inevitably (and accidentally!) make their way to the pantry, the Community Closet, or one of our other programs to fill a need. I’m often heard telling our volunteers not to leave their coats unattended because they’ll wind up in the thrift shop and I’m always taping enormous orange signs to volunteer lunches so that they don’t wind up being given out in the pantry. Amazingly, this request often galvanizes volunteers to say “keep the coat, somebody needs it more than me!” or “that’s OK, I’ll share my lunch!” This past month, a large volunteer crew had ordered a catered lunch and surprised me by setting aside the lion’s share of it “to share as needed.” This offer came just in time to make a big difference. We have a young mom of 4 who works in our pantry and goes to school part time while raising her kids solo. She has a heart of gold and goes above and beyond to help everyone she meets. On this particular day, she had been so busy that she hadn’t had time to grab lunch, and when I offered sandwiches she grabbed one and looked absolutely relieved to have a quick meal. I was walking by the pantry a few minutes later when I saw Jeni handing off her sandwich to a tall gentleman. Immediately I knew Jeni was doing what she does best. With her big heart she was passing on food to somebody who needed it more than her along with a big, cold bottle of orange juice. Knowing what would come next, I popped into the office, filled a big cup with juicy watermelon pieces, and left it with a fork on her desk. Not surprisingly, by the time I passed by again the watermelon was being enjoyed not by Jeni, but by her new friend, now settled in to a comfy chair eating his snack. Mike* had come in off the street that day to see if we had any food to eat. When Jeni offered him groceries he replied “Nah, can’t do those. I live in my shop.” He’d been to CUMAC a few times before, but would never take groceries with him, apparently that was why. That day he told Jeni that a year and a half ago he was involved in a freak accident. A car had come off a trailer carrying cars (the type you always try to avoid driving behind on highways). It fell on top of him and he was trapped for two hours before somebody heard him yelling. He’d had trouble working since and because he was at odds with his family he didn’t really have anyone to turn to during that time. Suffering physical pain and mounting medical bills, he would up spending nights in the car lot and shop he worked in up the street from CUMAC. Since that day Jeni shared her sandwich, Mike comes back sometimes to say hi and to see if there’s any ready-made food. He’s admitted that without the staff in the referral office he’d be going hungry. There have been days he’s gone without food, but now because of CUMAC he gets the help he needs. We’ve been blessed to count him as a friend and his visits are always much enjoyed by staff. We’re happy also to have the generosity of our volunteers and donors, which allows us to open our doors to all of our many friends who –just like Mike- need a little extra love and support to get through the day. *Name replaced. Want to feed people & change lives with CUMAC? Consider holding a food drive or making a contribution this month. Every donation can help clients like Mike stay hunger-free. Meet Ron: A Paterson native who loves spending time with his family and going to the park. Despite having a wealth of skills and warehouse experience, Ron has been out of full-time work for a few years and has struggled to find a steady job. As a single parent, raising three young daughters, Ron was determined to get back to work. When he started out in CUMAC’s Pathways to Work program in April he didn't know what to expect. He just hoped for an opportunity. From day one, Ron has given us all a reason to smile. He’s bright, hardworking and seems to have an endless supply of energy and enthusiasm for his job. Even on the most hectic days — filled with nonstop shipments, dozens of volunteers and hundreds of clients—Ron takes it all in stride. “With Ron around, we know everything is under control in our warehouse. It’s comforting to know that we have him there” says Ernest Mosley, Ron’s supervisor and mentor. For the last six months Ron has been learning about CUMAC, our warehouse operations, and what it takes to provide essential resources to thousands of people in need every month. He’s continued to take on more responsibility and has helped make our warehouse and depot more efficient. He's done an incredible job and we're thrilled to announce that he is officially a CUMAC staff member as of last month. Welcome aboard Ron! On Friday, September 30th CUMAC closed up programs and took the staff on a local field trip. The goal for the day was just to get to know each other, and the city in which we work (and for some, live) a bit better. Our first stop was to Paterson’s Great Falls. This area received National Park recognition in 2009 and has seen a bit of a revival since. There are picnic areas and walking paths, and plenty of space to simply absorb the awe of the 77 foot high falls. On the day of our visit, it was grey and drizzly, but that did not stop staff from marveling at the powerful falls and surrounding views. A highlight of this stop was a personal victory for staff member Teresa, our beloved Thrift Shop manager. Teresa has a sometimes debilitating fear of heights, however arm-in-arm with Executive Director Pat, and surrounded by her CUMAC family, she faced that fear and walked across the pedestrian bridge above the falls – twice! Second, we took a short walk down the hill to The Paterson Museum. There is a ton of information and visual interest packed into the space, and we highly recommend visiting on your own if you have the chance. We quickly learned that it was fitting we had just been to the Great Falls, as they are literally the driving force behind much of Paterson’s rich history, dating all the way back to its original inhabitation by the Lenape native people. As tour guide Robert Veronelli stated, “water is life” and the falls, and the Passaic River which they empty into, have represented nothing short of that for Paterson. The Passaic was a drinking and irrigation source for the Lenape; it was a vital trade route for over a century; it was the power behind turning Paterson into America’s first planned industrial city; and the hope is that the Falls will serve as one of the primary draws allowing Paterson to once again reinvent itself, this time as a tourist destination, and experience economic resurgence. In sharing that vision for the city, our guide Robert also shared that Paterson’s motto is “Spe et labore,” which translated from Latin means “With hope and labor.” As staff who work day in and day out to bring hope to the hungry and the struggling, those words resonated. We were reminded of our spot, of CUMAC’s role, in this great city. Our final stop was to visit our friends at City Green. The Howard Sterling Memorial Garden that CUMAC christened in our parking lot in May was funded in part by a City Green “Dig In!” grant. While the City Green farm that we visited is in Clifton, they have supported the creation of dozens of community gardens throughout the city of Paterson, provided educational programming around gardening and healthy eating, and hosted farm markets in urban centers to offer affordable access to locally grown produce. While at City Green’s facility we got to experience some of their education programs first-hand, visit with their wildlife (goats and chickens abound! ), and taste the fruits (or vegetables, to be exact) of their labor via a delicious cooking demo. We were grateful for the reminder of the importance of not just feeding people, but making sure we are providing the most nutritious food possible, and consider our friends at City Green an invaluable partner in food justice work. Hunger isn’t going away overnight. But our day out of the office reinvigorated our drive to work together and continue serving our neighbors in need in this beautiful city. We are confident that with the collective “hope and labor” of our staff, board, volunteer force, donors, and many, many partners we will alleviate hunger and change lives. Low-income and needy residents of Paterson and Passaic County are receiving free turkeys in the days before Thanksgiving. The Community FoodBank of NJ has generously donated over 600 turkeys to food pantries in the Passaic County Community Food Coalition (CFC). Nine of the coalition pantries were able to partake in this free program. CUMAC picked up the turkeys from the FoodBank and has distributed hundreds to the pantries who will then serve their clients. CUMAC has also been giving out turkeys to our clients this week. Fortunately, several groups and individuals have dropped off donations. Special thanks to our friends at Grace UMC in Wyckoff, Arcola UMC in Paramus, Open Road Acura in Wayne, Vincent UMC in Nutley, Franklin Lakes UMC, and Midland Park UMC for holding turkey collections and food drives over the weekend to help replenish our supplies. We’re expecting our pantry to continue to be very busy through the holidays & we'll need all the help we can get. This week alone we've served over 900 clients and counting! There is a great need in our community, but with your support we’ll ensure that every one of our clients has a nice Thanksgiving meal this year. We're grateful for that. Thank you for making it possible. If you’re interested in helping out this holiday season it’s not too late! Drop off food at our warehouse this month or making a donation online. CUMAC celebrated its 19th Annual HELP Dinner last Tuesday night at The Tides. As a new member of the CUMAC staff this was my first HELP dinner. In my role at CUMAC I plan events and this dinner was the biggest event I have planned so far. I could only hope for best. As many people know, this is Pat’s last HELP dinner in her role as Executive Director, and that greatly influenced the event plans as we wanted this to be an even more special night. The theme of the night focused on CUMAC’s past and what we hope for the future. Personally, I had the pleasure of sharing a table with the Hoogerheides who were the first people to ever receive CUMAC's Banfield-Coxe Award 18 years ago! The room was filled with almost 200 people - some with a long history with CUMAC, and others who are just getting involved - each one with a heart for CUMAC's mission. The room had a beautiful energy. Each award winner told of the connection they have with CUMAC and the stories all had a common thread of how helping to feed people and change others' lives actually changed the life of the speaker. 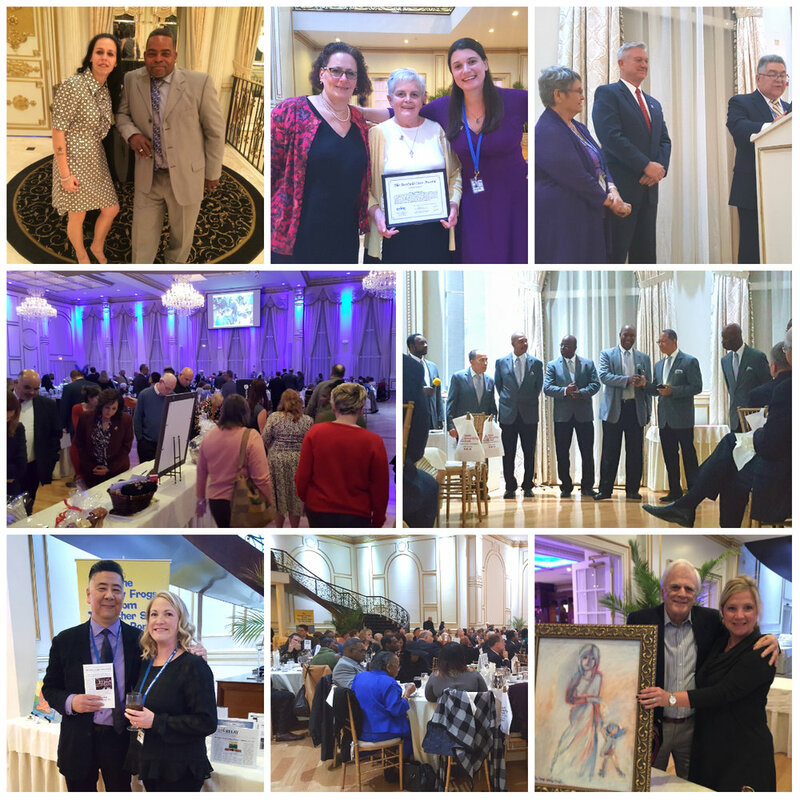 We were delighted to hear from our beloved staff member Ernest Mosley, gregarious and generous volunteer Kathy Altobello, and Atlantic Stewardship Bank (ASB) President and CEO Paul Van Ostenbridge. ASB was the evening's President's Award honoree, and they again demonstrated just how valuable a partner they are by sponsoring the event, bringing 2 tables full of guests, donating items for our silent auction, and making an additional $1,000 donation live at the event. I was also thrilled to have such talented musical guests - Lori Vanderaa and the Joyful Silvertones - to create a moment for everyone to watch the slides of the incredible work that had been accomplished because of Pat’s leadership. It really helped me gain an even deeper understanding of the impact this one amazing woman and the organization she has led has had for the people of Paterson, and I hope all of the guests had the same experience. We had a successful live and silent auction. The guests all shared laughs and maybe some tears. New friends were gained. The food and accommodating staff at The Tides were exceptional. I am pleased to say the night was a success and raised over $32,000. We are so grateful for Bountiful Feast sponsors Atlantic Stewardship Bank, Columbia Bank, and Valley National Bank and everyone who joined us at the HELP Dinner and made the event possible! To see more highlights from the event, visit CUMAC's Facebook page. With your support, CUMAC's pantry is serving over 2,500 people every month, and our other community programs like the Community Closet, Pathways to Work, and Place of Promise are providing our neighbors with the resources they need most. Your generosity makes it all possible. As we prepare for the busy holiday season, we ask you to please consider making a donation this month. Every gift, large or small, truly makes a difference. $50 will feed a family of four for a week. $60 will keep our trucks on the road for a full day, allowing us to rescue, transport & distribute food to our community. Help keep our neighbors hunger-free & donate today! Over 200 volunteers came together on Saturday, October 22 to fight hunger at the Hope Community Center in Paterson. The “Halloween Against Hunger” event was organized by our friends at Rotary District 7490. With a plenty of teamwork and effort, the volunteers packed over 30,000 meals for the hungry in just a few short hours. What a day! Thanks to Rotary District 7490, End Hunger NE and all our wonderful volunteers for making the event a huge success. 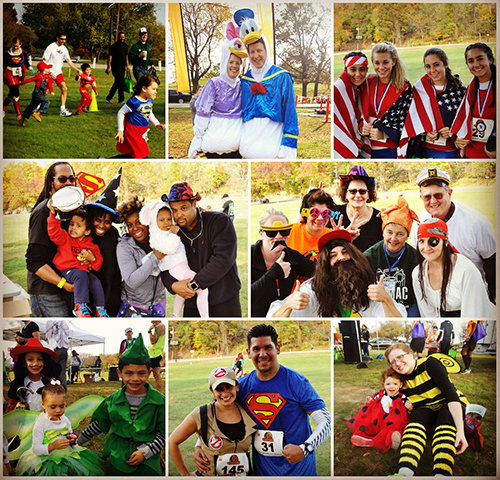 Spooktacular times at last month’s Halloween 5k to Scare Hunger Away! Over 170 runners and walkers registered to join Team CUMAC on the big day! It was a beautiful morning and together we collected over 700 lbs of food. We’d like to send a huge CUMAC thank you to Barwick Group, Kessler Rehabilitation Center, The Lomo Truck, Boccabella Imagery, Yelp New Jersey, and everyone who came out to run down hunger with us. We can’t wait for next year’s race! Check out photos from the event here. After two days of great shopping deals — Black Friday and Cyber Monday — and a day for giving thanks, Giving Tuesday is a day for giving back. 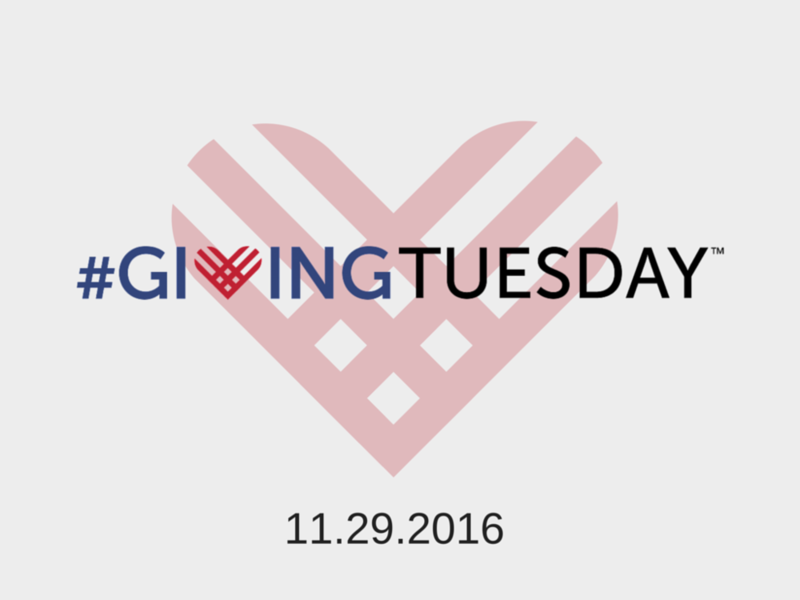 Started in 2012, the Giving Tuesday movement has been getting larger every year. Celebrate with us and do some good this week! There are so many ways you can help. Whether you’re holding a food drive, making a donation, speaking out against hunger or volunteering your time, it all makes a difference. Help spread the word about Giving Tuesday by posting about your good deed on social media using #GivingTuesday or #unselfie. Your kind action can help inspire others to get involved in the fight against hunger! You can also share your good deed with us on Facebook, Twitter or Instagram. We'd love to see how you're giving back! Why does CUMAC need coffee cans and how can I help? CUMAC provides food for over 35,000 individuals every year and operates with what we often call a “scrappy,” bare-bones budget. When we do purchase food, we do it as efficiently as possible. One of our preferred methods is to buy food items in bulk and then have volunteers repackage the food into manageable portions. In order to repackage bulk purchases we ask for donations of coffee cans. They are the perfect size for family portions, they are sanitary and easy to clean, and they are durable and easy to store in our warehouse before making their way to households in need. Thank you so much to all of the incredible groups and individuals who regularly drop off cans, they allow CUMAC and our volunteers to provide for our clients at the best possible price. Small coffee cans are best as they fit perfectly in the grocery bags we distribute to clients along with the other food items we offer. Please remember that we can only use cans if they are cleaned of debris and coffee grinds and the lid is then put back on to keep the inside clean. Coffee cans should be washed, but they must also be dry before the lid is put back on. Otherwise they are rusty by the time they make it to CUMAC and thus unusable for food storage. Coffee cans are the only type of container we are able to use. Yogurt containers take out containers, nut containers and anything other than a coffee cannot be fully cleaned of food particles, food smells and potential allergens. Unfortunately CUMAC must dispose of all non-coffee can containers that come to us, which can become a considerable expense and ultimately defeats our goal of saving money. Coffee cans are a small but mighty part of CUMAC’s work and we are so grateful for everybody who saves and collects them on our behalf. With you we are feeding many!